wow, now that is pink! Barbie Pink for sure! I loved Barbie and Ken as a kid, I needed them to be a couple though, Barbie on her own was no fun! 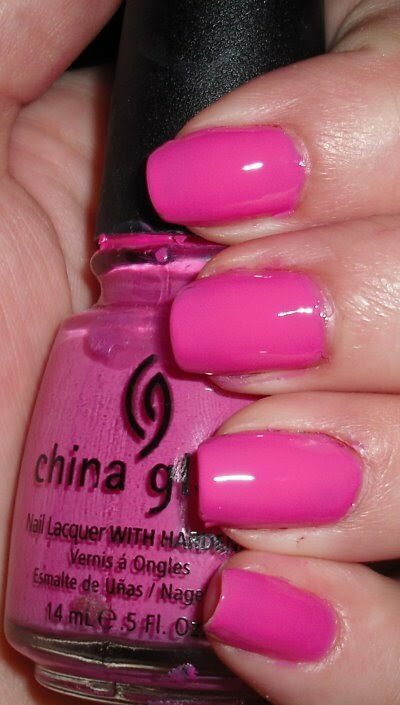 I adore pinks like this! Gorgeous. I LOVE China Glaze and i LOVE this color. Thanks for the add too btw!